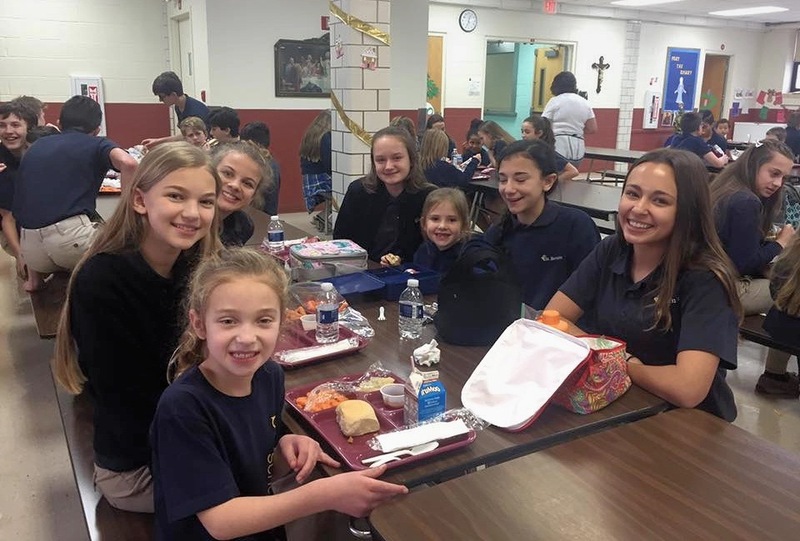 The St. Barnabas Buddy Program is intended to foster connections and friendships between our older students and younger students. The Buddy Program provides a valuable leadership opportunity while allowing our older students to serve as mentors, modeling behavior for our younger students. Our 8th grade students are paired with 1st graders, while our 4th graders are paired with our pre-kindergarten students. Buddy activities are ongoing throughout the year and include reading together, working on special art projects, community service activities, attending weekly mass together and more. Our student Buddy Program not only helps our younger students feel safe, valued and connected to the school community, but it also makes our older students feel valued and respected, which helps them building confidence and a stronger sense of self and responsibility for others.